Glen Baron has a Master’s Degree in Economics and Business Management from the University of Rennes. He started his career as a financial and economic adviser to help the creation of new businesses. 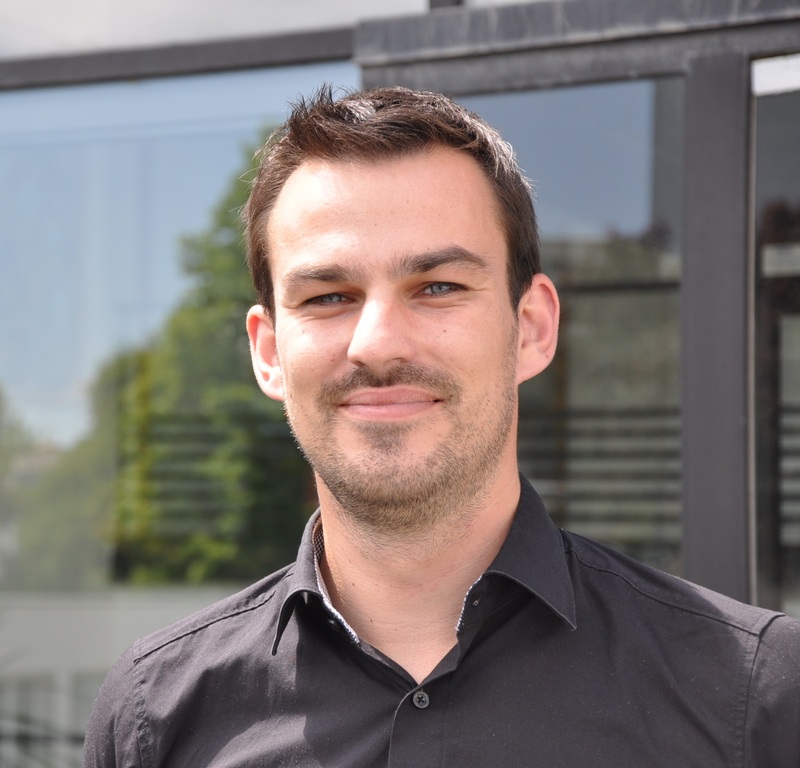 In 2016, he joined Technopôle Brest-Iroise to manage the Ouest startups’ acceleration programme which aims at fostering the creation of innovative businesses. Currently, he works for the Business department at Technopôle Brest-Iroise, where his role involves advising entrepreneurs on their business plan (technical, marketing, financial, HR…). 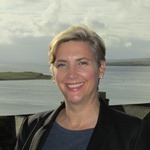 Elaine Buck began her career in marine survey work, and gained 20 years’ experience in oil and gas geophysical exploration before embarking on an MSc in Renewable Energy Development at HeriotWatt’s Orkney campus. She has since established herself as a key player in the sector with a highly respected view of its challenges and successes. Elaine has also developed strong relationships with supply chain companies and formed an invaluable network through her roles at Offshore Renewable Energy Catapult and the US Department of Energy Water Power Office. Previously, Elaine has worked as a a Technical Business Development Manager for Offshore Renewable Energy Catapult, a Renewable Energy Consultant for Aquatera Ltd., and has held various roles with Schlumberger - WesternGeco. As Technical Manager at EMEC, Elaine draws upon her cross-sector expertise to lead a team of project technical specialists, engineers and project managers to ensure that outputs are consistently delivered to EMEC’s high standards. Some of Elaine's notable achievements include leading the Oregon State University project PacWav, a 3 year project dedicated to the development of the first grid connected wave test site in the USA, funded by the US Department of Energy, while she also sits on the technical board for WEAMEC (West Atlantic Marine Energy Community). Hannan Carmeli has over 30 years of vast and multi-disciplinary experience in hi-tech companies and senior management, with roles in the high-tech sector including COO, President and CEO roles in public and private companies. Hannan graduated the Naval Academy and Advanced Maritime Command School with commendation, and subsequently served as Patrol Boat Commander, and second-in-command of a Missile Corvette. He holds a BSc degree in computer science from the Technion and is a graduate of Boston University. As a Naval Academy graduate and with passion towards sailing and marine technologies, Hannan has combined together the worlds of hi-tech and maritime technology and founded theDOCK Innovation Hub which focuses on harnessing Israel’s technology assets to promote innovation for Port, Maritime and Logistics sectors. 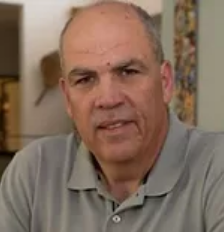 Previously, he was an Operating Consultant with the private equity firm Francisco Partners involved in acquisition and value creation of Israeli portfolio companies, as well as the Director of International Activity of the Israeli Innovation Authority (formerly Office of Chief Scientist), a government agency overseeing the Hi-Tech and innovation ecosystem in Israel. Hannan was also President and Co-CEO of ClickSoftware (publicly traded - NASDAQ), leading the company for over 16 years to become global leader in workforce management and service optimization. Dr Lawrence Dooley (M. Comm., Ph.D.) is a College Lecturer in Enterprise and Innovation at University College Cork (UCC) since 2004. Prior to joining UCC, he was based at the Centre for Enterprise Management in the University of Dundee, Scotland. He undertook his doctoral thesis entitled 'Systems Innovation Management' at the National University of Ireland, Galway. His core research interests focus on organisational innovation and issues related to inter-enterprise collaboration and value creation. Other related interests include organisational creativity and knowledge exchange. He has published widely over recent years and actively liaises with industry both through applied research projects, consultancy and research masterclasses. Jonathan Lindsey is an experienced Manager and Subsea Engineer who has worked in the oil and gas industry before moving to marine renewable energy. Jonathan brings particular skills in project management, company management, engineering operations, business development (UK and overseas), cost & planning and tendering, and currently works as an Operations and Technology Director in EMEC. He has a BSc in Mining and Petroleum Engineering, and a PhD in Rock Mining. Previous responsibilities include the winning and subsequent management of engineering and management contracts up to a value of £15M per annum, as well as the management of onshore and subsea design projects from concept through to construction. Jonathan has wide experience in managing teams of Engineers, CAD Designers and Project Services staff. 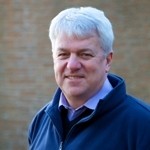 Previously, John has worked in various roles for J P Kenny Caledonia Ltd, as the Engineering Operations Manager for Jee Ltd., the Head of Engineering & Operations Manager for Construction Specialists Ltd. (CSL), and as Engineering/Operations Manager for Systems Engineering & Assessment Ltd. (SEA). 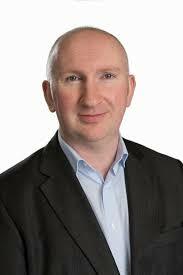 Liam Fitzgerald is a graduate of UCC, CIT, DIT and IMI with a Master’s in Business Studies and post graduate qualifications in Management, Financial Management, Leadership, Strategy & Innovation. He is passionate about Entrepreneurship, Business and Education. In 2018, Liam was appointed Marine Incubation Manager in UCC. This is an Enterprise Ireland funded role with a national remit to support the development of internationally scalable businesses in the Marine Sector. He is based in the MaREI Centre, Ringaskiddy where he also leads the Entrepreneur Ship Business Incubator and Marine Industry Development Hub. 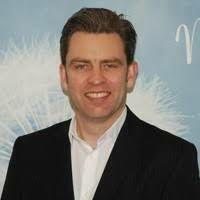 He spent his early career in senior leadership positions with both SME’s and Multinational organisations including Lidl Ireland Gmbh and Lloyds Pharmacy. He managed businesses and projects in Ireland, UK and Portugal. Liam has been involved in start-up and early stage businesses across multiple sectors since 2005 and has led Enterprise Ireland funded programmes since 2014. He was part of the senior team in the Rubicon Centre, CIT where he worked with in excess of 100 high quality start-ups, leading entrepreneur development programmes like Exxcel and New Frontiers. Many of these businesses have progressed to become Enterprise Ireland High Potential Start Up companies, and are successfully scaling, selling both nationally and internationally and creating jobs. Matthew Finn works with organisations to establish new areas of research and technology development in the renewable energy sector. He has a BSc in Marine Resource Development and Protection from Heriot Watt University. With over twelve years in the industry he has built an excellent network within OEMs, utilities, research institutions and a range of innovative organisations from around the world. This has led to the expansion of EMEC’s service offering and development of in house expertise across a range of disciplines. Matthew’s success is evident, with direct involvement in securing over £250m of funding for research and development projects around the world. 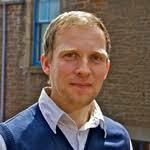 Matthew currently works as a Senior Business Development Manager with EMEC. Some of Matthew's key achievements include leading on the development of a demonstration programme for ocean energy, securing over €10m for five European partners to support technology testing, and setting up a pan-industry Developers Research Forum. Aday Francisco Guerra is a Computer Engineer with studies in Telecommunications Engineering and a Masters in Artificial Intelligence Research. He has always been interested in team management and agile software development methodologies, and is certified as a Scrum Master and Scrum Developer. His interests and expertise in technology and artificial intelligence led him to work as a professor of Computer Engineering for 9 years at the Alfonso X El Sabio University. Following the completion of his Masters, Aday worked in a start-up related to Artificial Vision. He is also the founding partner of two other start-ups related to the software in the cloud and smart cities using agile methods and lean startup. He has extensive training in software development technologies, as well as software engineering. Aday is also an expert educator in several business schools and accelerators, such as EOI and Lazarus, while he has also an abundance of experience in training business schools, accelerators, large organizations and SMEs in agile methods, lean startup and customer development. 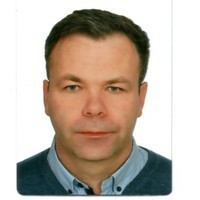 Sebastian Kowalczyk is an experienced research and development engineer with over 15 years’ experience. Sebastian graduated Gdansk University of Technology. He has a PhD in energy sector, completed at the Szewalski Institute of Fluid-Flow Machinery Polish Academy of Science. Previously, he worked for GE Energy, a company responsible for the conceptual designs of steam turbines. He was a deputy of Head of Division at the Ship Design and Research Centre, responsible for research and development, and commercial projects. He used to work for St3Offshore as a project coordinator, and was responsible for the development and implementation of an innovative support structure for offshore wind farm. Sebastian is an expert for national agencies, ministries, regional self-governments and private bodies interested in risk investments, R&D infrastructure and others (EU funds, including SMEI). He is also an expert in the H2020 programme. Sebastian owns a private company focused on development of R&D projects in the energy sector. Currently, he works as a Head of Innovation Team in one of the biggest national Energy production companies in Poland. He is also a project leader at the Bota Technik company, and is responsible for the development of contra- rotating thruster with tandem system. 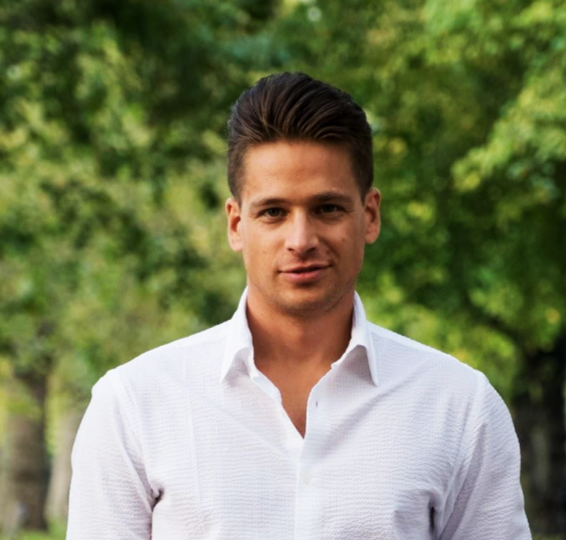 Enrico Milovan is the director of Startup Wharf Ltd., in London, and has a strategy consulting background that he developed in the strategy practices of Accenture, Deloitte (in Italy) and PwC (in the UK). He holds a BCom from the University of Birmingham, and a BSc in International Business and Management from Alliance Manchester Business School. 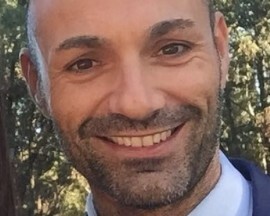 Enrico's career focus shifted towards growth and business model innovation when he joined Inzenka in 2012, a boutique consultancy specialising in launching new products and ventures to market for bluechip clients. In 2013 he decided to use his consulting experience to help start-ups achieve growth and joined Olivo, a start-up incubator. He was a key member of a small team of entrepreneurs that built and launched GENIAC, a digital marketplace for SMEs, which raised £22 million in series A investment. Since then, as a freelancer, he has been helping large companies to design and implement their innovation strategy all the way from ideation and change management initiatives to developing digital products and launching internal start-ups to market. Antonin Raffarin is a graduate of ENSTA Bretagne, an Engineering School in Brest. Recently, he launched his business with INOBO Kiteboarding where they develop an evolutive kiteboard. 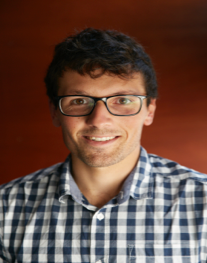 Besides his start-up, he is also responsible for Entrepreneurship at ENSTA Bretagne which offers him the opportunity to share his knowledge and experience as entrepreneur with engineers and students interested in launching their business. Alexandre Retif is a Chemistry/Physics graduate, while he also has a Master’s Degree from Kedge Business School where he has developed a combination of skills as a business engineer. He currently holds the position of head of business & partnership office at the University of Brest. His job is to connect companies with academic research laboratories. Alexandre also helps researchers in their strategy of promotion to companies, especially in communication. Previously, he created and managed an agency specialised in corporate communication, where he was in charge of commercialisation and administration. Derek Robertson holds a B.Sc. in Aerospace Engineering from the U.S. Naval Academy, in addition to an MBA from Trinity College Dublin and a certificate for Advanced Project Management (SCPM) from Stanford University. He is a member of the Irish Institute of Directors and Society for Underwater Technology. 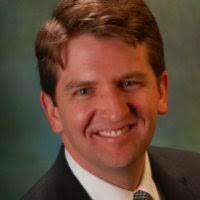 Derek is CEO at Subsea Micropiles Ltd. and Co-founder of Marine Technology Partners. Derek has led people, programmes and new business initiatives throughout his career. Following service in the U.S Navy, Derek led the development and execution of a flagship 20m EUR R&D programme for the Irish government, focused on improving the energy performance and sustainability of buildings. In other roles as a consultant, he provided analyses and direct support to the U.S. Secretary of the Navy regarding multibillion-dollar defence programmes and business transformation initiatives. In the private sector, Derek established U.S. operations for Wavebob, supporting both business and technology development for ocean wave energy applications. He led commercial strategy and introduced a systems engineering approach to product development, while raising over 10m USD from competitive contracts with the U.S. Dept. Of Energy and industry partners to include Chevron, Vattenfall and Abengoa. Enjoying a privileged position with Lockheed Martin at the forefront of new technology developments in cleantech and offshore energy, Derek led and supported a diverse range of new market initiatives and due diligence efforts to help build a 500m USD business. Pioneering the development of technology and markets for both oil and gas and renewable energy sectors, project experience includes: wave, river and tidal energy; ocean thermal energy conversion; advanced sensors; advanced materials; autonomous systems; subsea micropile technology; mariculture; and maritime surveillance. Oscar Villanueva is an Industrial Organization Engineer. He has qualifications from the Polytechnic University of Catalonia, and an MBA from the University of Barcelona, while he also has an Executive Development Program (PDD) qualification from IESE Business School, Barcelona. Oscar has also undertaken an Innovation and Entrepreneurship Program from MIT, Boston. 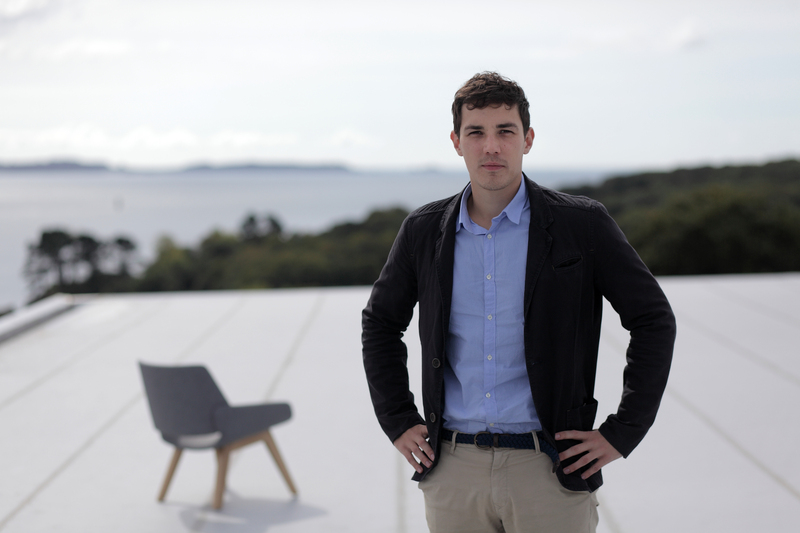 He is an entrepreneur, and Co-Founder of Arrecife Energy Systems and Business Angel. 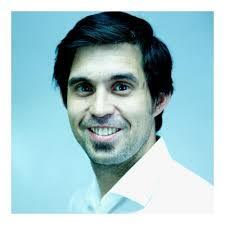 Oscar has more than 13 years of experience in the energy sector at Repsol. He currently holds the position of New Ventures and Technology Transference Manager at Petronor as well as the Business Development and Operations of Arrecife Energy Systems, where they have developed a new technology to transform the power of waves and currents into electricity. This is expected to be in full-scale at sea in mid-2019. 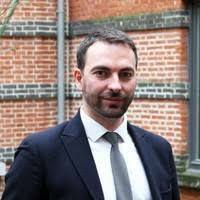 Nicolas Wallet has over 10 years’ experience in European funded projects, and currently works as a Programme Manager with EMEC. Nicolas uses his previous EU experience and strong networking skills to ensure effective performance under pressure, respecting budgets and meeting tight multiple deadlines while building strong relationships with developers, colleagues and EU senior officials. He has comprehensive experience in renewable energy, offshore, regional economic development, knowledge transfer, entrepreneurship, sustainable transport, law, and Europe and its institutions. Nicolas manages the delivery of a portfolio of €40+m projects for EMEC. Previously, He has worked as a Managing Director of NW, a Project Manager for the European Technology and Innovation Platform for Ocean Energy (TP Ocean), and as a European Project Manager for several Local Authorities in the UK. 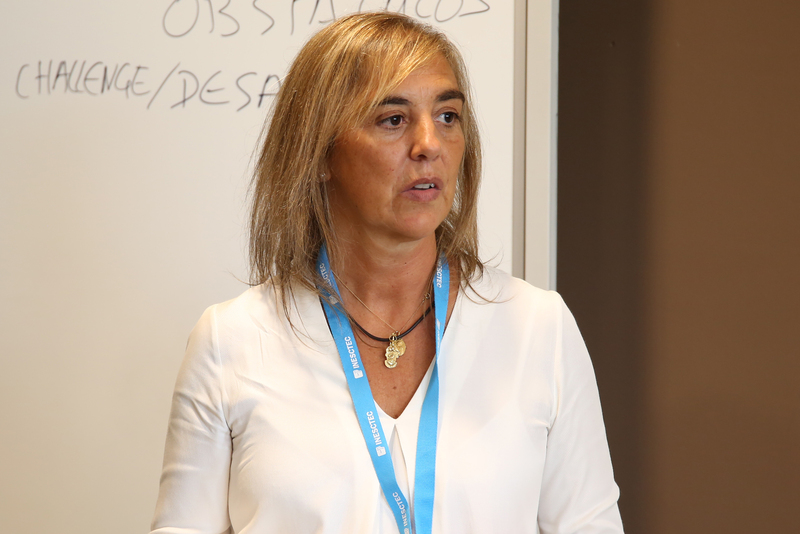 Alexandra Xavier holds a degree in Chemical Engineering from the Faculty of Science and Technology of the University of Coimbra in 1990 and an MBA in Business Administration in 1999 from former EGP, now Porto Business School. Alexandra is currently head of the Centre for Innovation, Technology and Entrepreneurship at INESC TEC - Institute for Systems and Computer Engineering, Technology and Science. She is also the coordinator of Let-IN, INESC TEC’s incubator, having played a pivotal role in the foundation of some of spin-offs and other start-ups operating in areas related to INESC TEC’s scientific and technology-based competences. Xavier’s key competences lie in the field of Research on Innovation and Innovation Management, Business Model and Product Development Consultancy, Innovation Management Consultancy and Auditing, Coaching for Tech Entrepreneurial Projects (from Technology to the Market) and Project coordination.